Turkey capitalised on poor finishing from the Republic of Ireland as they grabbed a 2-1 win in Dublin. Ireland were the most threatening side in the opening exchanges, with Turkey thankful for their goalkeeper Onur Kivrak after the Trabzonspor player palmed away Shane Long's close-range effort. Martin O'Neill's side were made to pay for their lack of cutting edge 15 minutes into the game, when Ahmet Ilhan headed in his first international goal for Turkey - meeting Gokhan Gonul's sumptuous cross to leave debutant goalkeeper Rob Elliot with no chance. Fatih Terim's side doubled their lead with just quarter of an hour to go, when Ozyakup played a superbly disguised ball towards fellow substitute Tarik Camdal - who fired it high into Elliot's goal. Ireland pulled a goal back immediately when Jon Walters skipped past a couple of challenges, and curled in an exquisite strike to set up a frantic finale to the match. But Turkey managed to hold on despite Ireland's late onslaught - claiming their fifth successive win. O'Neill, meanwhile, suffered his second successive friendly defeat as boss. Ireland played in fits and starts with wingers Aiden McGeady and James McClean and playmaker Wes Hoolahan the bright spots. 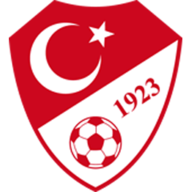 They might have been awarded two penalties as Turkey defender Omer Toprak rode his luck, and the visitors were indebted to the resilience of goalkeeper Onur. The Newcastle goalkeeper had little time to settle as he was called upon for the first time with less than a minute gone to keep out striker Mevlut Erdinc's skidding shot, and, but for a near-post block by Stephen Ward, he might have been required once again seconds later. However, it was Ireland who largely enjoyed the better of the opening stages, and they were hugely aggrieved not to be awarded a fifth-minute penalty after Long went down under Toprak's clumsy challenge, but not to the satisfaction of French referee Ruddy Buquet. Ward smashed a left-footed shot just wide of the far post two minutes later with the home side in enterprising mood, and Long was denied by Onur from point-blank range before John O'Shea's follow-up was blocked on the line. But the home side were to be felled by a sucker punch with 17 minutes played. Gokhan Gonul's right-wing cross was inviting, but the header applied to it by Ahmet proved unstoppable as Elliot dived full length to no avail. Ireland's response was concerted, with McGeady the architect of much of their best work. He led full-back Caner Erkin a merry dance to produce a series of dangerous balls into the box, one of which was headed wide by McClean. The Wigan midfielder turned provider 10 minutes before the break with a cross which Long back-heeled just off target, and he was unfortunate not to level himself within seconds when Onur repelled his well-struck shot from McGeady's left-wing cross. Damian Delaney departed three minutes later along with McGeady and Long as O'Neill introduced David Meyler, Daryl Murphy and Walters with Marc Wilson. Toprak was fortunate to escape once again after appearing to tug Hoolahan's shirt inside the box with 15 minutes remaining. 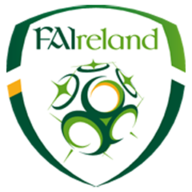 Ireland were still smarting when their fortunes dipped further as substitutes Oguzhan Ozyakup and Tarik combined for the later to extend the visitors' lead in emphatic style just seconds later. Walters' equally convincing finish after wrong-footing Toprak later gave O'Neill's men hope, but Murphy headed straight at Onur from McClean's 86th-minute cross as the Republic came up short.